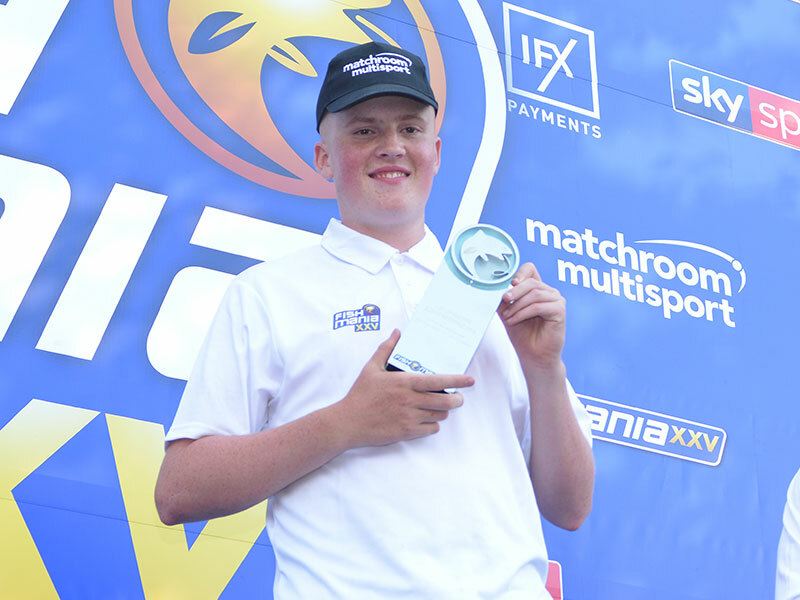 MYLES FLETCHER, an 18 year-old from Totley, Sheffield, claimed the Junior Fish’O’Mania, as beat a strong field by nearly 6 kilos to win the £1,000 and superb trophy. The university student mainly caught carp and grass carp to romp to the title. “It’s amazing! It was the first time I tried qualifying through the Junior Nationals, and it was great to take it away from some good anglers.